Is it possible to rewire the brain to enhance cognitive health as we age? The Brain Boost: A Practical Guide to Brain Health draws on cutting-edge research from the fields of cognitive science, neuropsychology, and medicine to show that anyone can boost his or her brain performance through lifestyle changes. Full of fascinating studies—from explorations of the hippocampi of London taxi drivers to the role of the emotional tone of music in enhancing cognitive function in those with Alzheimer’s—The Brain Boost is a highly engaging window into the world of neuroplasticity, or the brain’s ability to reorganize itself throughout an individual’s lifespan to compensate for injury and disease. 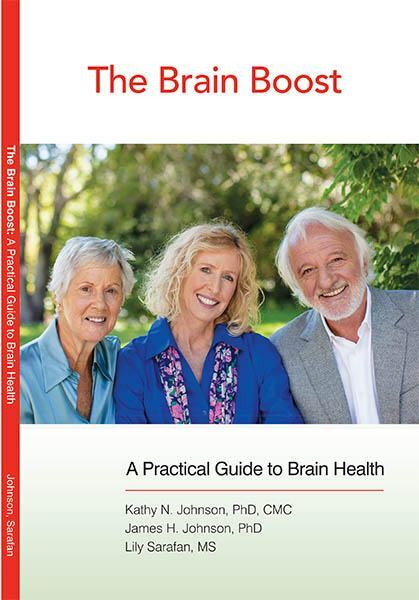 The Brain Boost offers practical, everyday tips to support brain health and longevity with a healthy diet, regular physical exercise, socialization and challenging cognitive stimulation. Combating the idea that cognitive decline is an inevitable part of aging, this book is a must-read for adults of any age eager to harness the power of neuroplasticity to enhance their mental acuity and wellbeing.